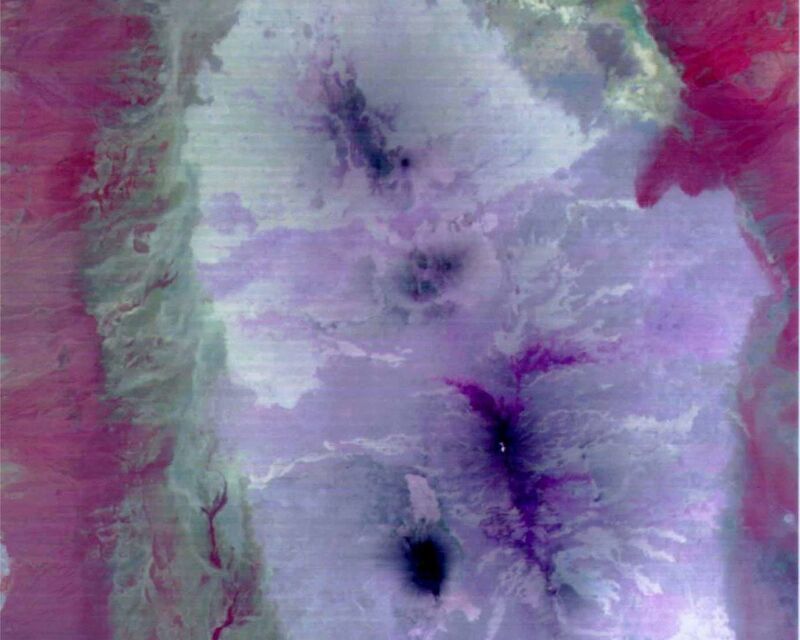 This image is a color composite covering the Rift Valley inland area of Ethiopia (south of the region shown in PIA02452). 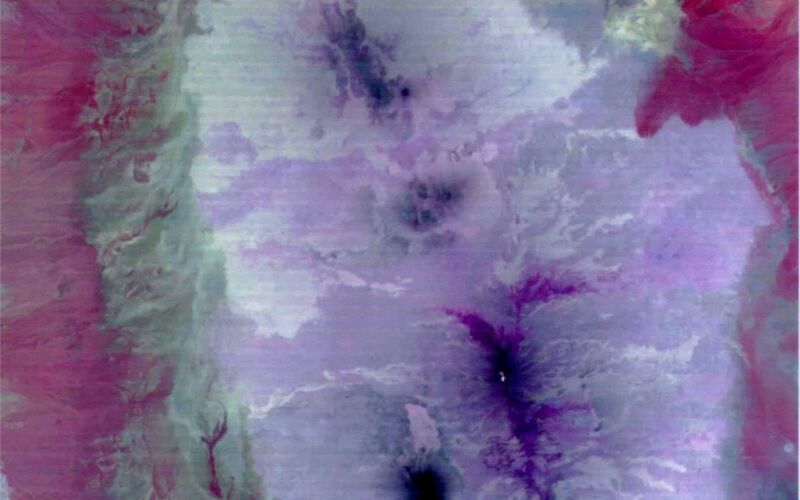 The color difference of this image reflects the distribution of different rocks with different amounts of silicon dioxide. 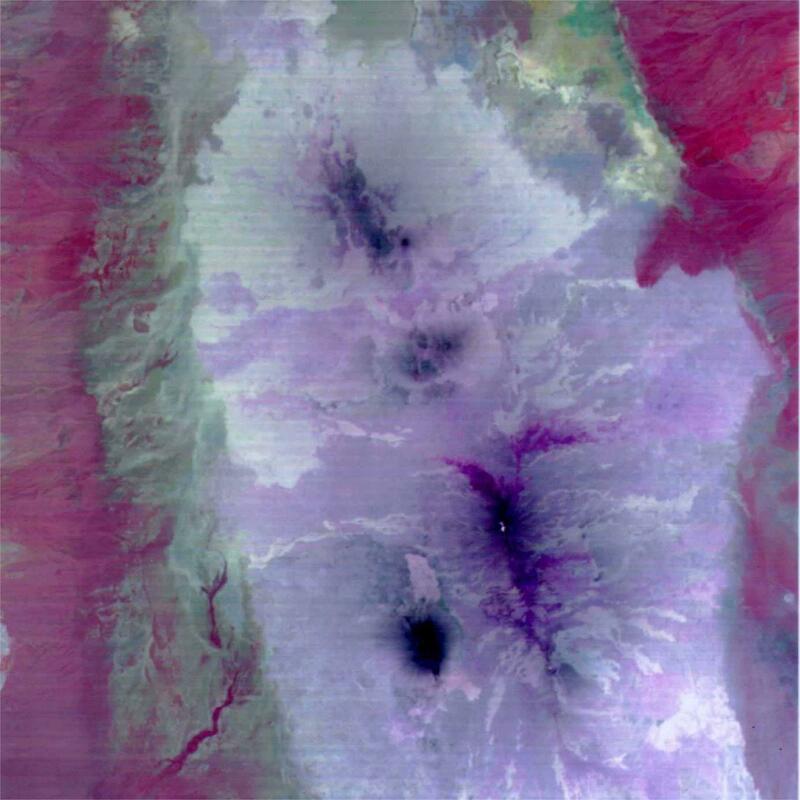 It is inferred that the area with whitish color is covered with basalt and the pinkish area in the center contain sandesite. This is the first spaceborne, multi-band TIR image in history that enables geologists to distinguish between rocks with similar compositions. 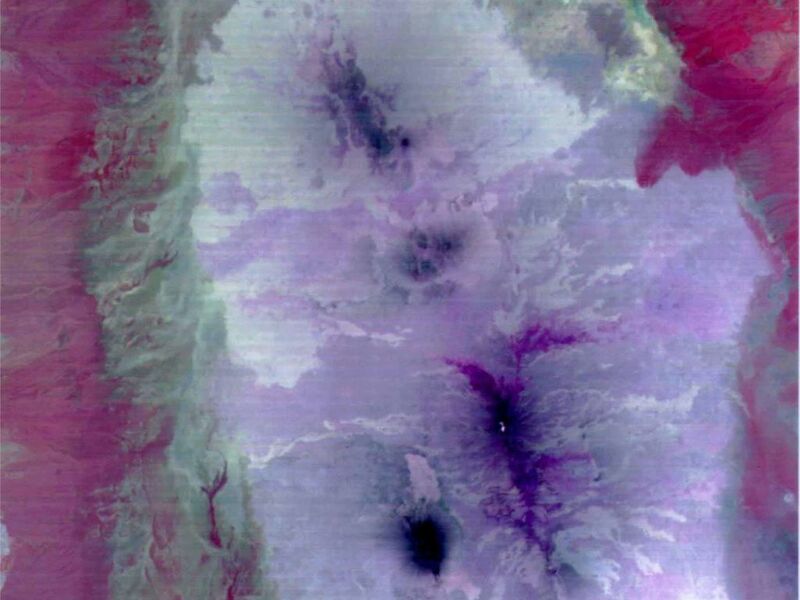 The size of image: 60 km x 60 km approx., ground resolution 90 m x 90 m approximately. The ASTER instrument was built in Japan for the Ministry of International Trade and Industry. A joint United States/Japan Science Team is responsible for instrument design, calibration, and data validation. ASTER is flying on the Terra satellite, which is managed by NASA's Goddard Space Flight Center, Greenbelt, MD.